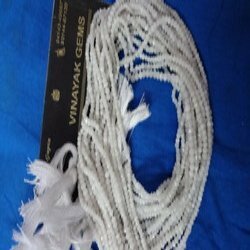 For catering the variegated demands of our respected clients, we are highly engrossed in providing a wide range of White Jade Semi Precious Beads. 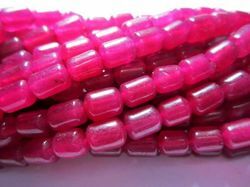 We present wide range of Red & Green Jade Melon Carved Beads to our clients. These are highly appreciated for its unique characteristics. These are gradually tested and then supplied to our clients. Our range is available in various tints and shades of green color. We provide a huge collection of different form of jade stones. All these are available at competitive prices. Jade Beads are available in different sizes such as 3mm, 4mm, 6mm, 8mm, 10mm, 12mm etc and also in different shapes and colors. - Jade is a powerful cleansing stone, enhancing the body's filtration and elimination organs. We are the well-known organization of the industry that is engaged in offering Yellow Jade Beads. These Crystal Stone Bracelets that we offer have exotic look that can be teamed up with any dress of any color. The cost of these Crystal Stone Bracelets is very nominal and pocket friendly.